Thank God, it's not come to that as yet. But soon, you can expect greeting card companies to latch on. And then merchandizing companies selling rubber snakes wishing you a 'Slithering Nagpanchmi' with some cute cartoon character embossed it. Positioned strategically above the Cobra's hood above, is the name of the title sponsor. Head and Shoulders. How appropriate. Apparently this movie got an award for visual effects. I must see it. Maybe the tongue goes in an out faster than you can see. 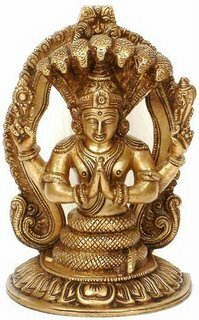 Now, the word 'Nagapanchami' comes from 'Naga' for snake and 'panchami' for 5th since it is celebrated on the 5th day of the dark half of the lunar month. The origin of Nagapanchami is that in the rainy season snakes are forced to abandon their holes due to water entering it. When they are out in the open, they come into contact with people who out of fear might kill them . The festival therefore gives the snake the status of God so no one harms it. The other explained origin of the festival has agrarian roots since it occurs at the beginning of the harvesting season. So in a manual harvesting operation, farmers are exposed to snake bites. This festival is a kind of a homage to the snake to pray to the snake-god not to hurt her/him and family. Offerings are made to snakes and people perform 'arati' - respectful light offering - to the snake. Of course, now this festival like others has just turned into a money making thing. Every year hundreds of snakes are captured by snake charmers and tortured. for eg. their fangs are removed so that even after they are released they are not able to hunt and consequently die. All this is so very against the spirit of the festival. In fact in the same paper i quoted above, there is this reference (specific sentence in bold) to show you how things have changed. "At the time of worship these snakes come out of their holes where they hide themselves during the day and night. After the worship is over they take food and drink offered by the priest and then quietly retire to their holes. In some places serpents live in the hollow of big peepul trees which shade the shrines below. At the time of the annual worship of Siva offerings are also made by the devotees. None ever think of causing any harm to them. Snake charmers also not allowed to catch these snakes which are considered absolutely harmless due to their supposed divine association." 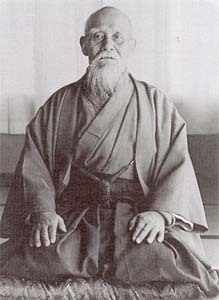 From an esoteric standpoint, Nagapanchami worships the 'Kundalini shakti' - the spiritual 'serpent' energy within all of us. At the same time we pay homage to Sri Patanjali, the great grammarian and the sage who gave us the Yoga-Sutras (His image on right). He is believed to be an incarnation of the Serpent-God, Adisesha on whom Lord Vishnu is depicted to be resting. To wrap this post up, three videos for you. Watch the first two till the end. 1) This is from one of the 'famous' snake parks in Thailand. In my view pure harassment for the animal. In fact, feel uncomfortable posting it. But am amazed at the circus. The handler is putting his life at risk. The animal feels threatened and keeps striking. Stupid tourist marvels at it all. Incidentally, this 'cobra-kissing' is done at Battis-Shirala in Maharashtra, India as well. The village is famous for its Nagapanchami festival. I remember the village being covered on NGC some years back. Apparently the snakes there are handled humanely. But even then, it definitely is traumatic for them to be caught from the forest and worst - kissed by humans! what animal is nagapanchami assoviated with? and one of my friends daid it was a cow. then she came out and told the entire school what she'd done and laughed with us. My god, Aarshi! A cow!...anyway, that's what happens when there is emphasis only on rote learning. something to note in this context is the money spinning business that this day was made out to be until a couple of years back..........the snake peddlers sitting on railway platforms and bridges who took money and 'fed' the snake milk on nagapanchami day.........apparently the poor animals are so so over fed that these guys virtually stuff milk down their throat.....really sad! 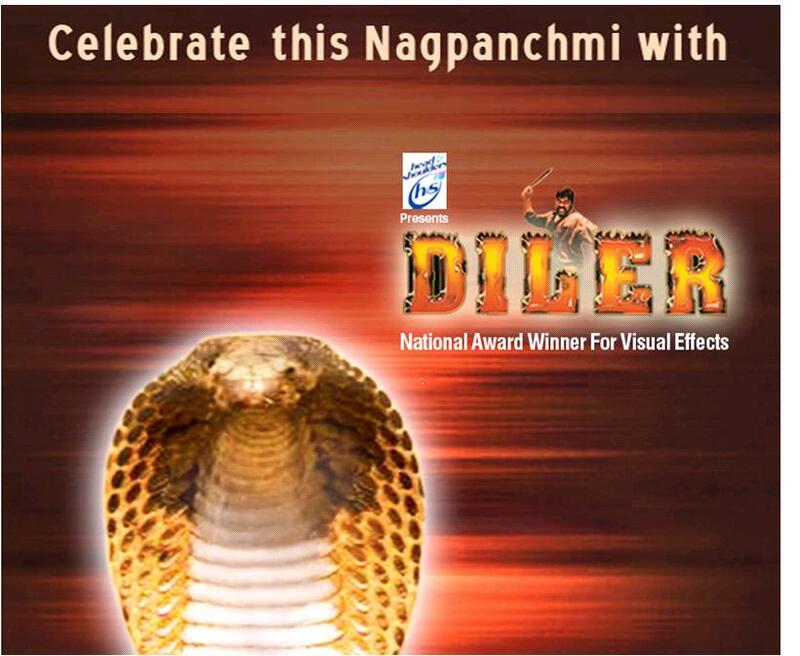 I heard that their are several bad effects of Nagpanchami on snakes. Why for our tradition we let them to suffer from these worst situation? 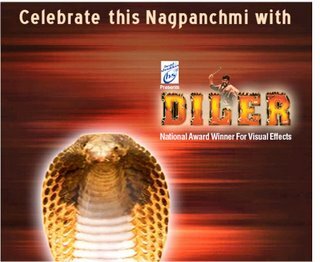 Can you please send me more about bad effects of this festival on snakes. Lastly, i find it funny when people who eat animals day in and day out start talking about animal rights!